Thank you to everyone who supported the launch of our campaign #GivingTuesday. 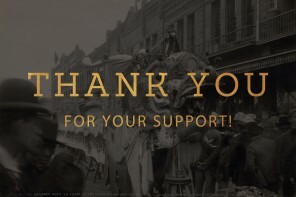 Thanks to you, we met and passed our goal of $1,000, raising $1,550! We are grateful for your belief in the impact of our work. Yesterday, we received an addition $150 in donations, bringing our total raised in the first two days of the campaign, to $1,700. The campaign isn’t over yet. We have until December 31, 2017 to raise the $8,300 needed to meet our larger goal of $10,000. If you haven’t yet donated, we hope you will consider making a tax-deductible donation of any amount in support of CAAM’s programs. Tuesday, November 28th is #GivingTuesday. 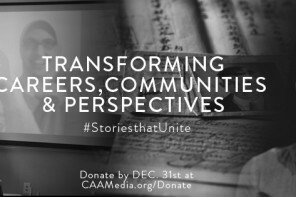 CAAM is planning to launch our end of the year campaign on this global day of giving. Our goal is to raise $1,000 or more by the end of today to support our core mission to transform careers, communities and perspectives through diverse Asian American stories. Join the movement by donating below at our secure website CAAMedia.org/Donate today through December 31, 2017. Careers. CAAM empowers filmmakers to achieve their full potential by providing training, funding, distribution, and access to professional networks. Through these efforts, we are contributing to the growing community of storytellers whose work will help inform and educate current and future generations about the evolving American experience. Community. Connecting filmmakers and their stories to people and communities in schools, community centers, theaters and neighborhoods, bridging conversations about inclusiveness and social equity. Perspective. CAAM-supported work changes the way audiences see the world, changing hearts and minds, inspiring empathy and meaningful social action. Can we count on you to make a tax-deductible gift of $50 or more to support more filmmakers, connect with more communities, and change perspectives? Please donate today. Request a matching donation from your employer. 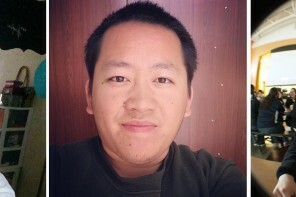 For more information, please contact Jennifer Chu, Membership Manager, at jchu@caamedia.org or (415) 863-0814 extension 102. For more information, please contact Jennifer Chu, Membership Manager, at jchu@caamedia.org or (415) 863-0814 extension 102.